The first week long cruise of the season took Kay, Murray, and Richard to points east. 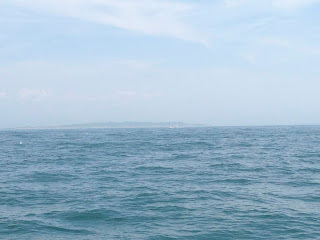 It felt great to finally get beyond the Narraganset Bay and into open waters. Our first night out took us to Cuttyhunk. The winds were out of the SW at about 15. While the seas were behind us, the "yawing" wasn't too bad and the ride was comfortable. We arrived as the winds were picking up and decided to anchor inside the harbor. There we found refuge and had a great night's sleep. By 9:00 we were on our way to Edgartown, Martha's Vineyard. We decided to go down Buzzards Bay and through Wood's Hole to catch the considerable current. Fog was thick on the Vineyard Sound side of Wood's Hole. 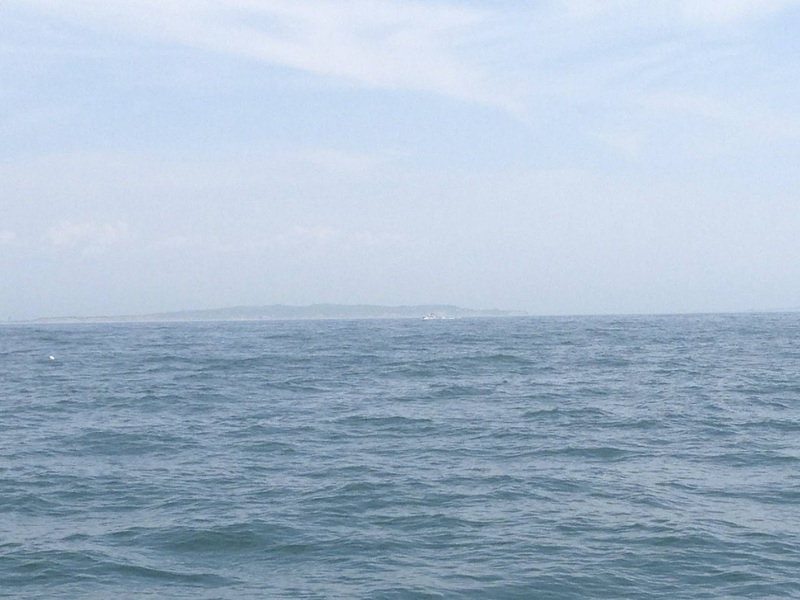 Once in Nantucket Sound we had very limited visibility (less than 100 feet). Fortunately, we have gotten used to navigating in the fog and had a great sail up to E-Town. Once there, we took a town mooring and were tucked in for the Fourth of July celebrations to come. While in E-Town, we were able to connect with Vermont friends, Terry and Dan. We enjoyed a dinner together on the fourth but missed the fireworks due to more fog. 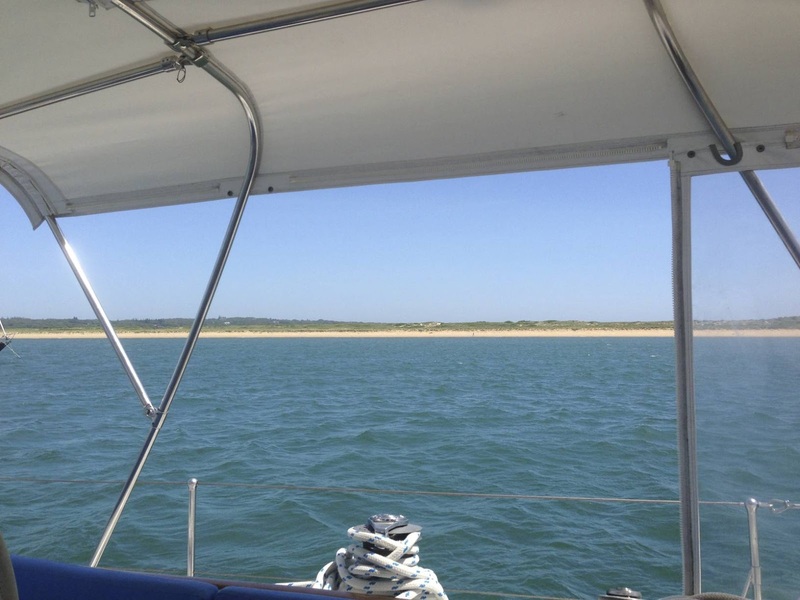 The following day brought nothing but sunshine, great winds and a fabulous sail with Dan and Terry to Vineyard Haven, also on the Vineyard. 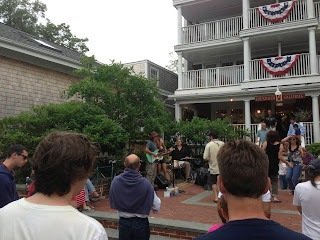 While in Vineyard Haven, we joined our friends from Bristol and three other boats for a three day cruise. 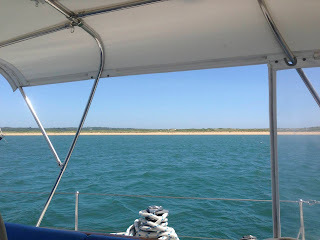 After a wonderful dinner in Vineyard Haven, we all sailed to Menemsha Pond on the Southern end of the island. We were one Sabre 402, two Little Harbor 44's, a Alden Sloop and a Lobster Boat. 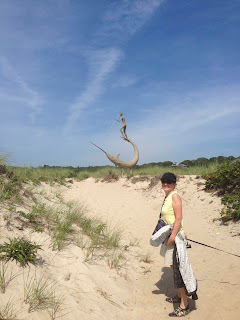 Once in Menemsha we dinked in to get fresh swordfish (harpooned) for a beach cookout with the group. We have to thank Dennis and Susan for inviting us to sail with the highly experienced group of travelers. It was wonderful making new friends and hearing all the stories of so many miles of sailing. New friends, new adventures... what could be better. Kay makes landfall in Menemsha. We finished up the week with a great sail back with "Blue Moon" to Bristol. 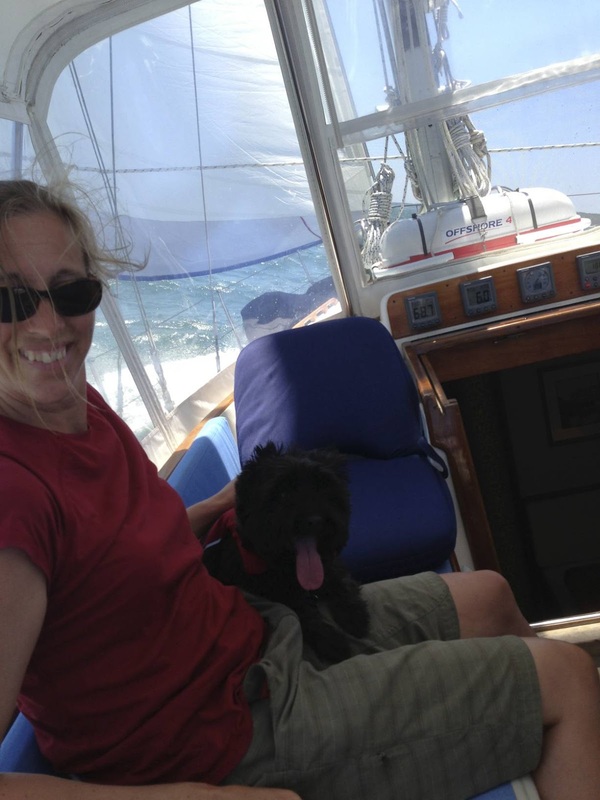 After nine hours, it all ended with a bourbon with Kay, Dennis, and Sue at the Bristol YC. Perfect end to a great week. Now back to the repairs of Atalanta as we get her ready for our great adventure. Richard - It was wonderful to see two well kept LH44s sailing together in some of our favorite waters. Sue and I are pleased to share our friendships with you and Kay. So...we will do more this summer before your big departure to the South. Good luck with your repairs and remaining upgrades. Can't wait to set sail with you again and especially to see you on board in warmer waters.